Do you need an extra pair of hands on your farm or yard, in your garden or in your B&B? Could you share your knowledge and our Irish hospitality with a student? We are always looking for new hosts in all of our programme areas. If you think that you could offer a student a great learning experience, in exchange for their help, please give us a call or get in touch with us using the form on the "Contact Us" page. 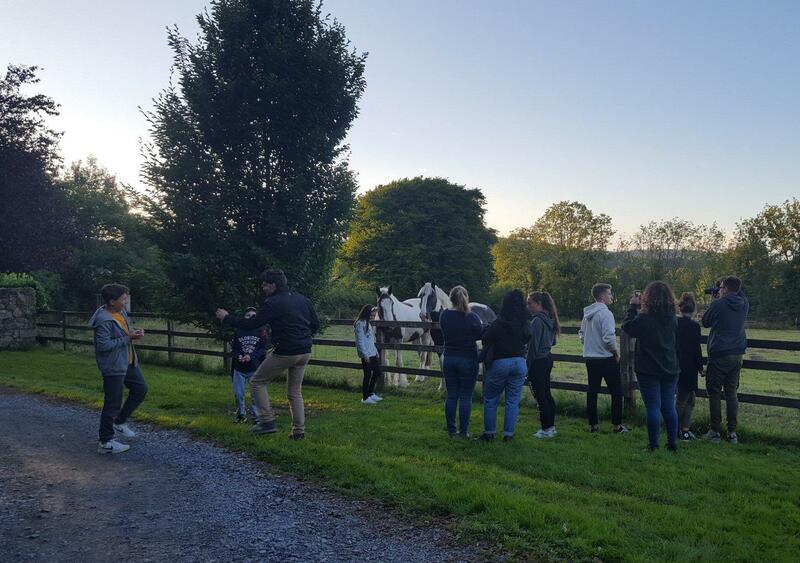 Students are here to learn and experience Irish culture, all as part of their educational studies. They may not come with huge amounts of experience, but they should be interested, keen and willing to learn. In many cases, improving their English is a huge motivation for them to do a placement here. Students should be a part of your family life. Our ethos is "if your son/daughter travelled to a family abroad, how would you like them to be treated?" They should have accomodation in the family home and recieve meals with the family, and be treated like a member of your household. To become an Equipeople host, please call or email us using the contact information on the website. We will talk you through every step of the process - the different programs, what hosting entails, what you can expect as a host and the process to get set up. After we have discussed everything with you, we will send you out the necessary paperwork to register with us as a host. Once you have returned this paper work we will arrange to visit you. This visit gives us a chance to get a feel for the type of student who would be suitable for you, it enables us to see the working area and accomodation for the student and it also gives you the chance to meet a member of our team and to ask any further questions you might have. Please get in touch if you are considering hosting - we would love to hear from you!